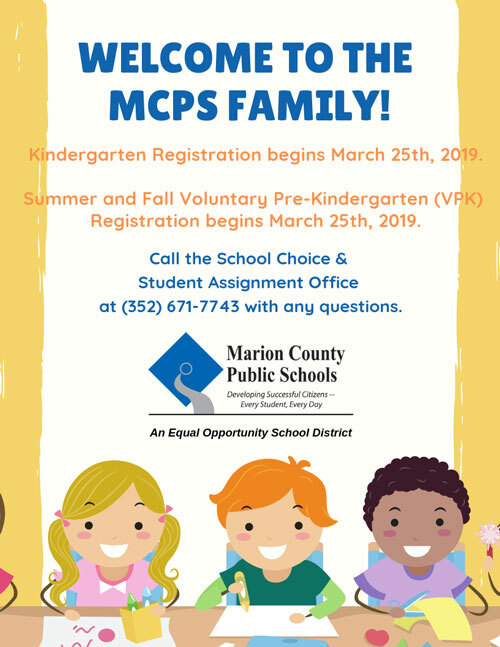 In Marion County we believe that an extra-curricular program of clubs, organizations, and activities offers a positive and valuable dimension to the overall growth of young people into productive, responsible adults. We encourage participation as a means to provide young people with experiences, which will convert to meaningful learning. Development of skills for use in future life. Students are encouraged to join and participate in clubs. Membership requirements are contained in each club’s constitution and by-laws; however, there are general regulations regarding eligibility for membership in any clubs and organizations. Have a minimum 2.0 unweighted cumulative GPA and meet the club’s requirements. Meet individual school participation fee requirements. Complete the Yellow Student Participation and Parental Approval Form. All members must abide by the Marion County Code of Student Conduct for both on and off campus activities. All clubs are encouraged to participate in school/community service learning projects. Purpose: Compete in academic competitions at the local, state, and national levels. Requirements: Desire to excel in FHS Academic Team competitions and maintain good student conduct. Come to practices regularly. Maintain a GPA of 2.0 or higher. No debts owed to the school. To become a captain or co-captain of the team, you must: arrive to practices on time, wear the proper uniform at meets, be a leader, have good social skills and be able to answer a variety of trivia questions. Dues: $22.00 plus $15.95 for the team shirt. Purpose: To have fellowship and share with those who love the arts. Students are encouraged to prepare work for and participate in local art shows and contests. Major Activities: Students meet at school in Room B-159 each Monday for fellowship, work on projects and to share with those who love the arts. Students are encouraged to prepare work for and participate in local art shows and contests. Purpose: To perform music at the highest level possible. Band is not a club but a co-curricular activity balancing academics with extra-curricular activities while learning musical knowledge required by the Sunshine State Standards. Requirements: Previous experience from middle school band or by permission of the director. 2.0 GPA, good discipline record. OR, if no experience, successful completion of the Music Techniques class with recommendation of the band director. Dues: $275 per year. $200 if sibling also in band. Can be paid by fundraising or payment plan. Our football concessions regularly lower this amount significantly. Major Activities: Football performances and marching competitions, solo and ensemble recital and FBA festival, All-District and All-County honor bands, concert band concerts and FBA MPA, colorguard, drumline, and Jazz Band. Fundraisers: Various fundraisers including cookie dough sale, football concessions, car wash/yard sale...mostly service type projects. Forest has a very active and effective band booster organization that meets the first Thursday of each month at 6:30pm in the band room. Purpose: To promote the ideals of scholarship, character, leadership and service. Major Activities: The primary activity of NHS is to provide tutoring to FHS students. We are also involved with school wide-collections for Kimberly's Cottage, the food bank, stockings for soldiers and other school sponsored activities. The leadership team and members are encouraged to supply ideas both at FHS and within the community for more club involvement. Fundraisers: The fundraisers are based on the needs of the NHS. Currently there are no on-going fund raisers. Purpose: The Spanish Club offers exposure to the Spanish speaking world and its cultures. It's purpose is to be educational and fun for its members. Purpose: FBLA allows students to strengthen their communication skills, gain leadership, and become exposed to diverse people with different ideas from around the world! Members will grow as a person as they work with their peers, who will encourage them to better their selves and strive to reach their goals. Requirements: A desire to gain business and leadership skills. A desire to promote community involvement. A desire to compete in business events and earn scholarship money. Fundraisers: Fundraisers are done throughout the year to earn money for State Leadership Conference. SLC is a chance to Compete at the State level once members have placed at Regional level. Purpose: American Teen Cancer Society is a service club to help raise awareness of a variety of cancers and to help raise money for research. Purpose: ASTRA is a community service club for male and female students! Requirements: Members need to attend meetings regularly and participate in at least one monthly service project. Major Activities: Community service projects include: clothing teddy bears for the Salvaiton Army, creating and delivering Valentine's Day cards to a nursing home, participating in teacher appreciation week, and walking for the March of Dimes. Purpose: ATLAS is a community service and leadership club for girls. Purpose: The Mission of the AF JROTC program at Forest High School is to develop citizens of character dedicated to serving their nation and community. We instill values of Citizenship, Service to the United States, Personal Responsibility and a sense of accomplishment. Major Activities: Classroom study, drill, color guard and rifle teams, athletic competitions, field trips, various community service and charitable activities. Summer Leadership School. Purpose: Fellowship of Christian Athletes is an organization designed to help student-athletes grow spiritually and bring others to know Christ. F.C.A. is an interdenominational ministry that is Christ centered and Bible based. Purpose: SGA students are focused on giving the students of FHS a voice in their school government and cultivating ideas of service and proper leadership in our future citizens. Students also become a part of the appropriate grade level organization Freshman Class, Sophomore Class, Junior Class, Senior Class. Major Activities: Homecoming Week, Holiday Canned Drive, Pasta for Pennies Campaign, Mr. & Miss FHS Presentation, Teacher Appreciation Week, School and Community Service. Purpose: The Forest Wildcats’ Theatre Club, Troupe 3069, is a member of the International Thespian Society. Anyone is free to join. See Ms. Rajswasser for details. Purpose: •	Promote reading at FHS and the community. •	Provide a positive forum in which students can be creative in their prospective areas of interest. •	Promote community among club members. Requirements: Members must have a 2.0 GPA and turn in required paperwork/dues. Grade Levels: All levels (9-12). Major Activities: 	Volunteering at our library. 	Help foster the love of books and reading with young students. 	Help at events that celebrate books. This sometime involves dressing up as book characters (Cosplay fun). 	Help with school functions: United Way Carnival, Teacher Appreciation Week 	Have fun at our monthly nerd’s nite out: movies, games, and building friendships.